Charlie Fort serves as Solar Manufacturing senior vice president. Previously and concurrent with his then existing responsibilities, Fort also lead the global operations and finance organization for the residential and light commercial business, responsible for driving global order management and fulfillment, as well as product offering design and optimization. Prior to that, he was vice president and corporate controller for the company. 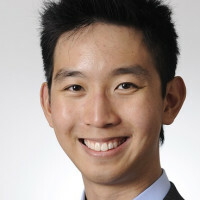 Prior to joining Solar Manufacturing, Fort served as vice president, corporate controller, treasurer and head of subsidy business operations for the Knowledge Universe (KU), where he was responsible for all accounting, external reporting, internal controls, subsidy operations, and treasury activities. My company makes solar panels and other products that run on solar energy. A tax on carbon will definitely help us compete against pollution-emitting giants that just pass off the environmental costs of their industry to the public. Charlie hasn't suggested anything yet. Charlie hasn't shared any story yet.